Lyon, the third biggest city of France located on the south-east border, is well known for its amazing food and wine culture. 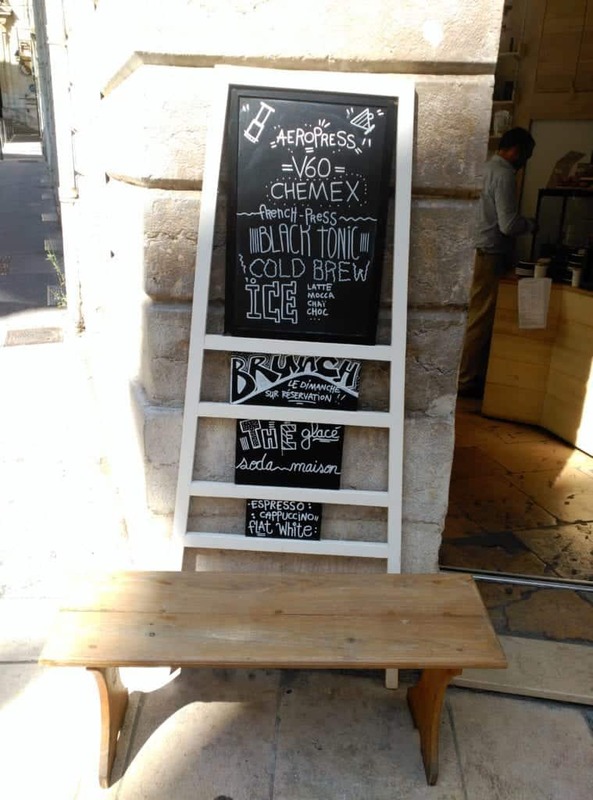 By many called “the capital of French gastronomy”, Lyon has embraced a new item on its menu – speciality coffee. 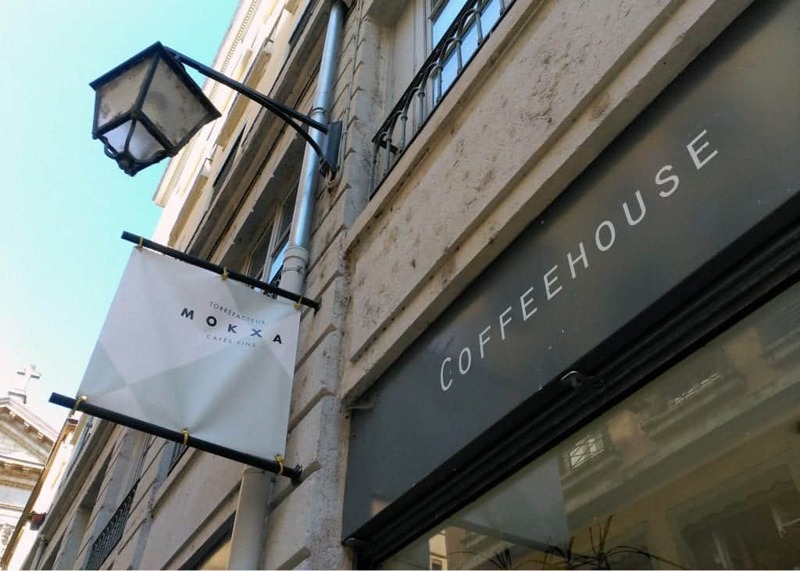 Mokxa was the first specialty establishment of Lyon, opened in 2011 by Rosamund Morris James and Sadry Alexandre Abidi. 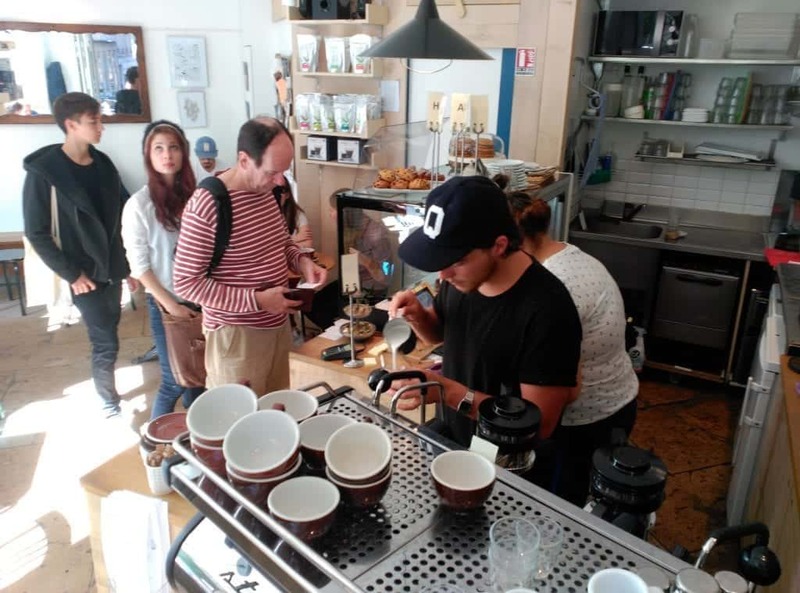 After meeting in New Zealand, where James had been working as a barista and Sadry had been his customer at that time, they decided to open their own coffee business back in France. 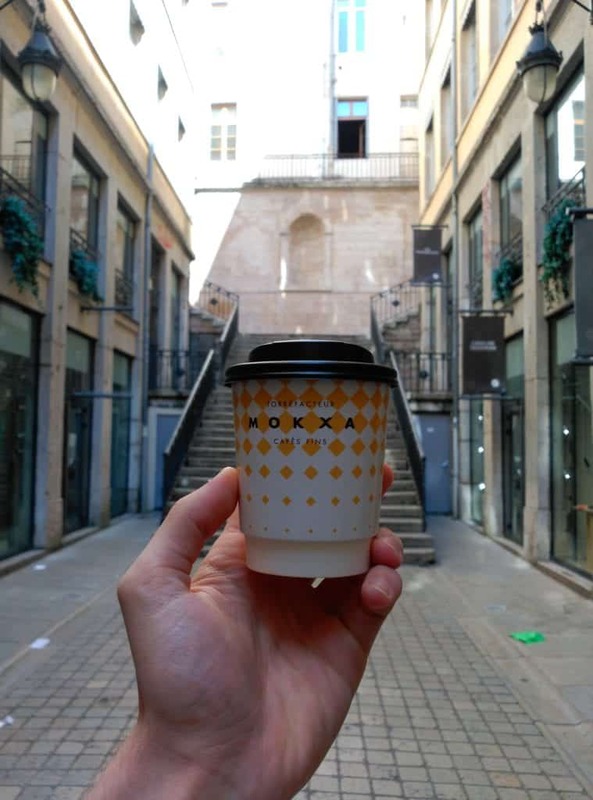 Sadry comes from a small town in the region and idea of settling in Lyon came naturally, so they could become creators of the city’s coffee scene. The possibility of influencing the local market was a big opportunity for them but it did not come easily. First of all they had to make french people think outside of their usual coffee boxes. The most common drinks are a typical ‘cafe au lait’ – a milky coffee, or ‘juste un café’ – a french equivalent of an espresso. Fighting against national customs was a great obstacle but Mokxa did not feel disheartened. Opening the door of their roastery along with their own café – La Boîte à Café, they started spinning and spreading culture of quality coffee in their area. Market that almost did not exist in Lyon at that time grew bigger and bigger thanks to them while Mokxa’s beans have been reaching more clients and restaurants. 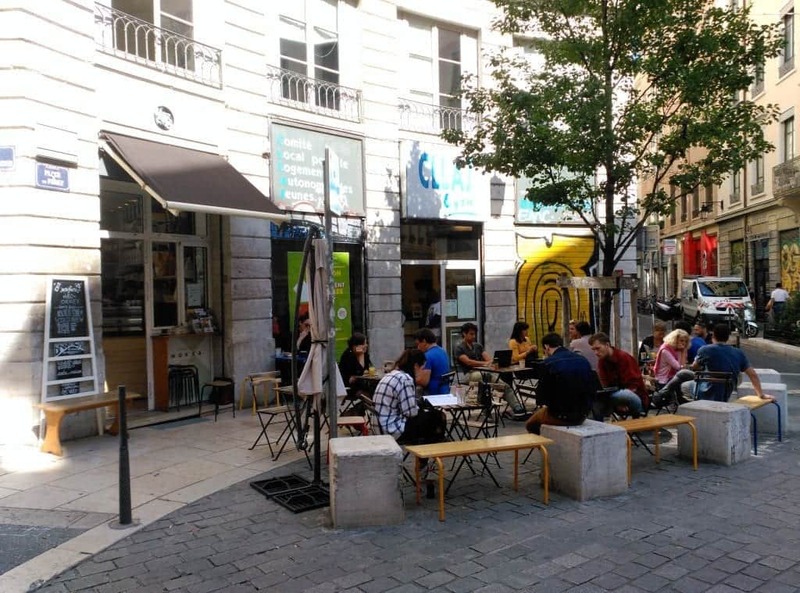 Located in the very heart of the city, in a trendy neighborhood of Bas des Pentes, a nicely organized café welcomes guests with a comfortable sit-in zone. There you can enjoy your coffee in an illuminated interior, thanks to broad windows, or you can sit outside. Its street-facing terrace allows you to follow the daily life while sipping a coffee just as the French like to do it. 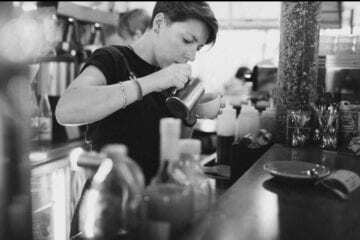 Friendly and knowledgeable baristas fill up the space with perfectly balanced vibe of professionalism and coolness. 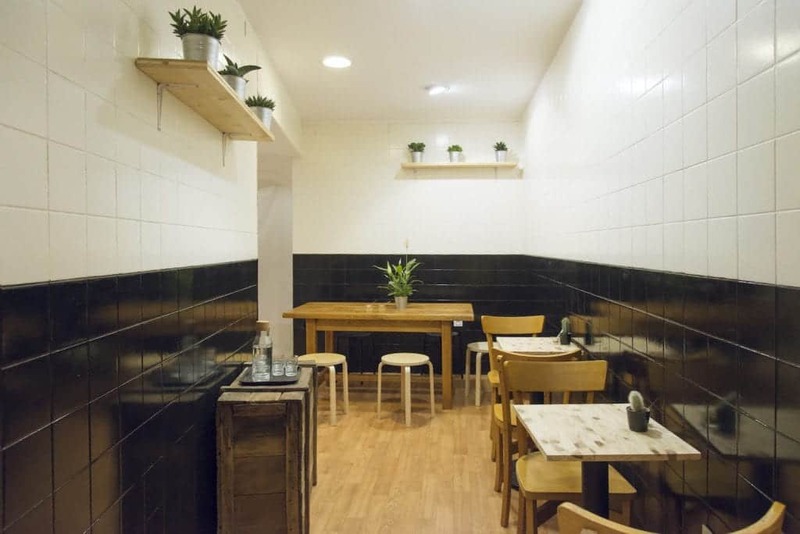 It is a good spot to start discovering the city with a cup of tasty and well brewed coffee. 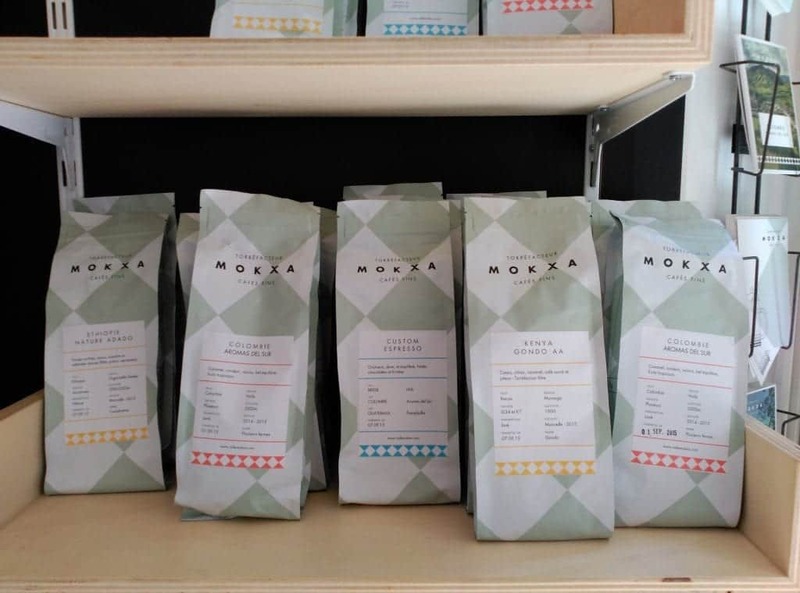 Mokxa is running many workshops, courses and cuppings for its guests and their baristas annually take part in national competitions of Brewers Cup and Barista Championship. The roastery is providing few high end restaurants like Konditori or Butcher Brother, you can so enjoy a well pulled shot even after a dinner. A stone’s throw away from La Boîte à Café there is Le Tigre, run by Andrea and Delphin. Both of them fell in love with coffee while living in Paris, just around the corner from Ten Belles. 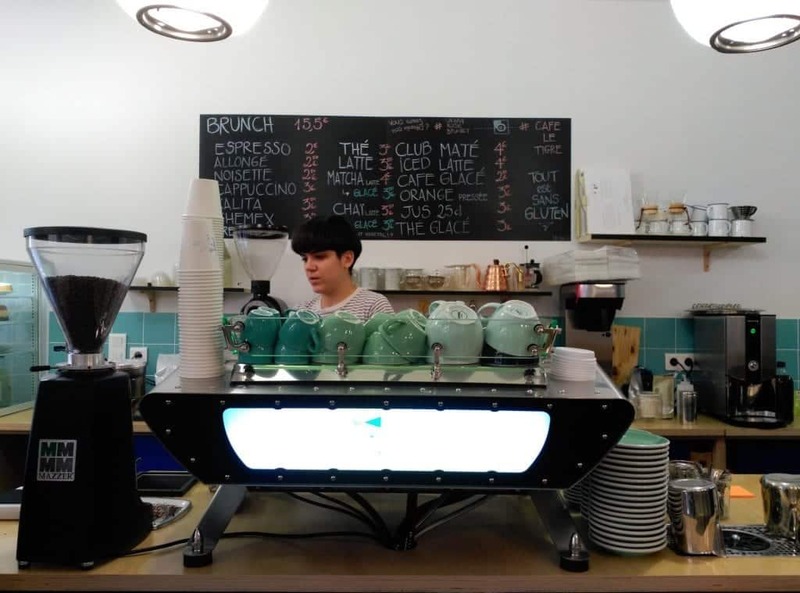 After discovering more of the city and becoming friends with coffee professionals from around the capital they came up with the idea of opening their own coffee shop. 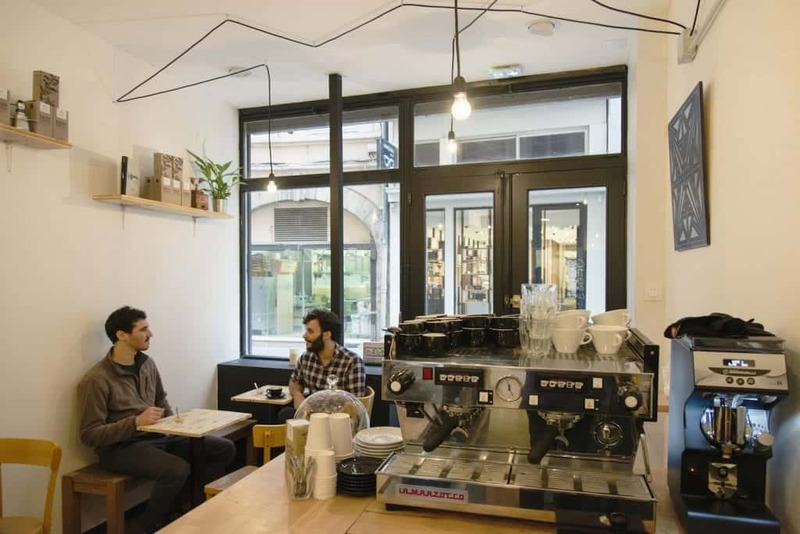 They moved southward to Lyon and created “The Tiger” that does not look like any French café. Nice and easy wooden interior resembles Nordic design studios with a little bit more colourful twist. 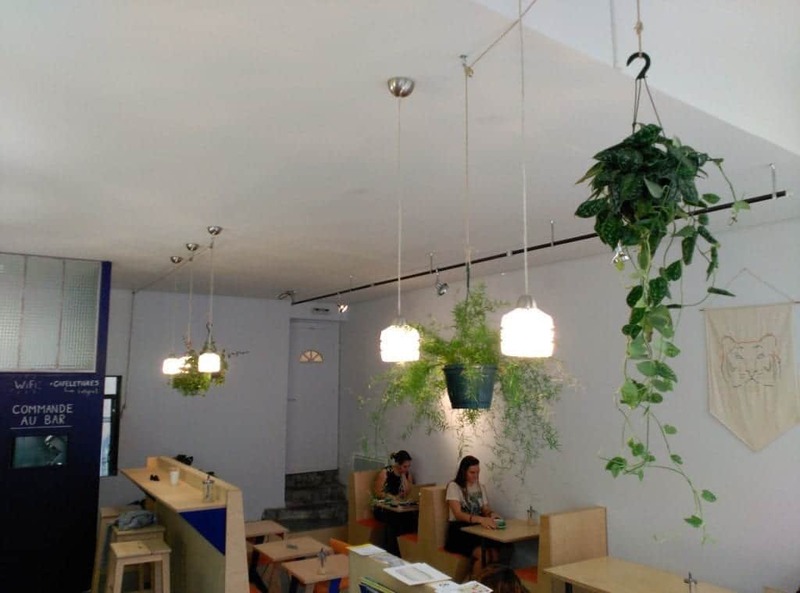 A well planned and organized space with comfy chairs is combined perfectly with plants hanging all over the place. Their Mahlkoenig grinders are filled with fresh coffee roasted carefully in Paris by Belleville Brûlerie. Vegan? No problem! Lactose intolerance? Got it covered too! At Le Tigre you can find anything that modern hipster-geek-foodie needs. But do not forget you are here for coffee. A very good coffee. This new kid on the block is a recent project of two friends – Thomas and Fernando, who were brought together through a coffee story of their own. After discovering world of coffee in Sydney Thomas came back to Lyon just in time to get behind the bar of by then freshly opened La Boîte à Café. After a short break for studies in Paris he came back and became one part of what we now call Puzzle. Fernando on the other hand moved to Lyon from Dublin where he was part of its growing coffee scene. Once he started coming to Thomas' café as a customer they started sharing ideas and passion for coffee which led them to creating a new place at Lyon’s coffee map together. Both experiencing a vibrant specialty coffee culture outside of France, inclining the most towards Scandinavian style, they decided to follow what was familiar to them and chose to use coffee from a different than a homeland option of roasters – they turned to DROP from Stockholm. While working on an Italian machine La Marzocco, serving a Scandinavian coffee and coming from France and Argentina they make for an unforgettable feeling you cannot experience in many places. And that is Puzzle.